size | Why you drive bad?! SUVs make good barn doors, but crappy windows. 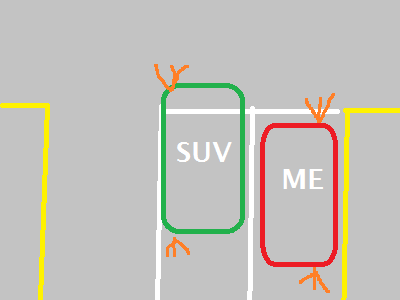 From the files of people who misjudge the size of their vehicles: the left-lane blocker. You know who they are. They’re the ones that block your view of traffic coming from the left when you’re trying to make a right-hand turn. 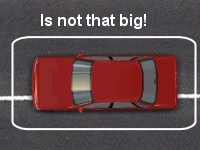 And 9 times out of 10, the left-lane blocker is a truck or SUV. It’s almost never a sensible sedan. I don’t understand why they need to edge out past the stop line as they certainly have the best view of the traffic coming from the left and the right. 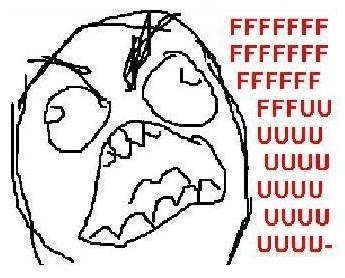 What’s even more annoying is the ones that edge up as you are edging up! It becomes this arms race of who can edge out into the intersection before being hit! You’re edging up because you can’t see around the Canyonero, but why are they edging up? They have absolutely no reason to! I’d like to slap them in the face for such an idiotic, selfish move.